I am not a tea drinker per se. I didn’t grow up with this beverage so I tend to shy away even from the flavored teas that my friends love. All of them smell great, but most of them don’t taste good to me. But, I have known about the health benefits of green tea, so I started drinking it a few times a week, and I’m getting used to the flavor. Then I heard about Matcha tea and it’s unparalleled nutrition. Matcha is a premium tea that’s specifically grown in Japan, and its health benefits are astounding! Matcha is not your typical green tea. This finely ground concentrated green tea has been used is Japanese ceremonies for centuries. One cup of matcha tea is equal to ten cups of high-quality green tea. It has 137 times more antioxidants than regular green tea as well. Other benefits are its a fat burner, fights and may help prevent some cancers, loaded with catechin and EGC, enhances calm, boosts memory and concentration, increases energy levels and endurance, detoxifies the body and fortifies the immune system. Being Matcha tea is such a high-quality beverage, care must be taken when mixing this drink. Traditionally, you would first run the matcha powder through a sieve to get out the clumps, then put the powder into your chawan (bowl), add your hot water and then use your chasen (whisk) to create a frothy drink. Or you can use the Matcha Shaker from Libre. 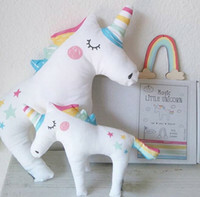 A few months ago I shared information about the Libre Infuser Mixed Life gift set. I can’t tell you how many times we’ve used these infusers to tote around our favorite beverages. They’re fantastic. The Libre Travel Matcha Shaker – MatchaGo is their newest collection; they’re more slender and made specifically for creating the perfect brew of Matcha tea. Just like the other Libre products, the MatchaGo Shakers are high-quality and decorated with a stylish floral design that is peaceful and in tune with Mother Nature. The lid and the base are black which is neutral and appealing to everyone. Each infuser has a durable BPA free poly exterior and a glass interior and comes with a removable fine mesh stainless steel filter and an extra gasket. The MatchaGo Shaker is also a time and mess saver. No longer will you have to pull out or lug along the matcha equipment when you can whip up a frothy infuser full of healthy Matcha tea. The removable stainless steel filter can act as your sieve; just measure and gently push the matcha powder through. Then add your hot… not scalding… water to the infuser and shake well. That’s it! In just a few minutes and with no mess, you have a serving of healthy matcha tea. If you want it to froth, you have to shake it several times, but I didn’t really care, I like it just as is. If you haven’t had matcha tea, then you are missing out on a nutritional drink that has a subtle flavor but potent qualities. It’s so delicious and good for you. The infusers are easy to care for, just wash them in hot sudsy water and let them air dry. Do not put them in a microwave or your dishwasher. It’s also advised to allow excess steam to release before putting the lid on. The Libre Infusers are so versatile and can be used for any beverage hot or cold. And because the Matcha Shakers are thinner, they’re ideal for children. If you’re looking for that perfect gift for a family member, friend, coworker or neighbor, consider giving the gift of a Libre Infuser. Disclaimer: I did not receive compensation this post. Product was provided for review only. All opinions are my own. I like the Libre Infuser – Mixed Life 14oz 6 Pce Giftset! The Wall™ Tea Infuser, Right-Handed for when I just want to make a single cup of tea. 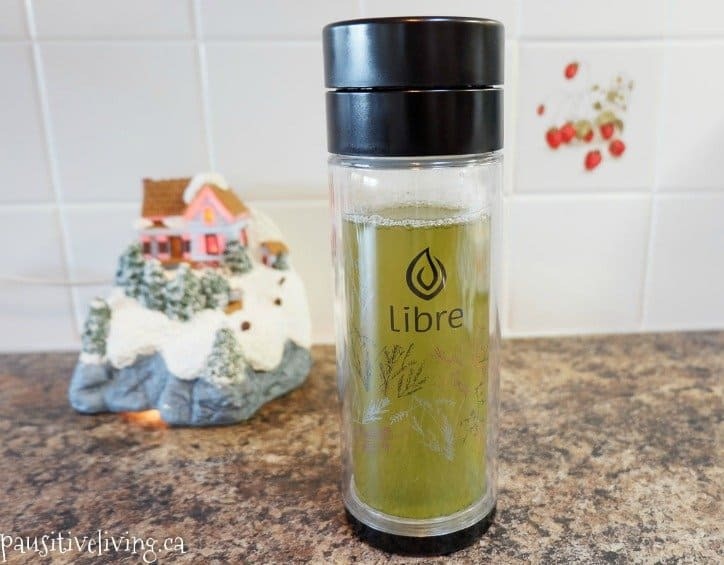 I like the Libre Infuser – Lively Leaves Green 14oz. I like the Libre Infuser – Mixed Life 14oz 6 Pce Giftset. I like the classic. Looks wonderful. I love the Libre Infuser – Starburst Turquoise 14oz – so pretty! I’d like the Libre infuser- starburst turquoise 14oz. Libre Infuser – Classic 9oz would also be nice to have. I like The Wall™ Tea Infuser. I like their Classic line of glasses. I like the Starburst Turquoise. I like the Mixed Life 14oz 6 Pce Giftset. Great selection of colours! I also like the Libre Infuser – Garden Dance Pink 14oz. Libre Infuser – Black Brush 14oz is one other product that I like. I love the Starburst Turquoise diffuser!! So pretty! I like the Wall™ Tea Infuser, right-handed. I like the classic 14oz tea infuser. Love the Libre Infuser – Black Brush! Gorgeous and on sale!!! I like the Libre Infuser – Garden Dance Pink. I love the lively leaves tea infuser!! I like the Wall Tea Infuser, right-handed. My favourite Livre will always be the Libre Infuser – Black Brush 14oz. The Garden Dance Harvest one would be my choice. I like the Wall Tea Infuser right handed. I like the Garden dance pink infuser. I like the Starburst turquoise infuser! The Classic infuser looks great too! I liked the gift sets Garden Dance. I would love to get the Libre Infuser Classic (14 oz) 6 Piece Gift Set; I can break them up and gift them to people. Thanks! I like the The Wall™ Tea Infuser, Right-Handed. I like the Libre Infuser Classic 14oz. This would be great to have! I like the classic Libre Infuser. The Classic 14 oz. would be nice. I like the Libre Infuser Classic Kit. All the kits are nice. I like the The Wall Tea Infuser, (Right-Handed!) Cheers! I like the wall and they have a left handed version! I like the wall tea infused right-handed. I like the starburst turquoise pattern and the traveler best. I like the Libre Infuser with the Pink stuff. I also like the Libre Infuser – Mixed Life 14oz 6 Pce Giftset. I would like to get the Libre Infuser – Starburst Turquoise . I love the Libre Infuser in Starburst Turquoise! I like the Libre Infuser – Mixed Life 14oz 6 Pce Giftset – great for christmas presents! I also like the Libre Infuser-Garden Dance. I like the Wall Tea Infuser, left-handed for us southpaws. I would like the Libre Infuser – Starburst Turquoise 14oz. I would also like the Libre Infuser – Pearl 14 Oz. Thanks for the chance! Just getting into tea drinking. Tea at Home The Wall™ Tea Infuser, Left-Handed *NEW* looks wonderful to use. I like the pearl idea – minimal. I love the Wall Tea Infuser! I like the Libre Infuser – Starburst Turquoise 14oz… I’d use it for loose leaf tea. I like the Libre Infuser – Garden dance pink 14oz. I like the left handed infuser! The Libre Infuser classic mug is on my wish list this year! I like the starburst turquoise infuser . I like the classic mug. I would really like to give away the Mixed Life 14 ounce 6 piece gift set.A gorgeous set. I would love a Libre infuser. I wouldn’t mind bringing home the Libre Infuser – Classic Mug. I like the Libre Infuser – Starburst Turquoise 14oz. i would love to get the Libre infuser- starburst turquoise 14oz. I also really like the Libre Infuser – Classic Mug 10oz. I also really like the Libre Infuser Classic Mug. I like the Libre Infuser – Garden Dance Pink 9oz. Libre Infuser – Garden Dance Pink 14oz is the bottle I like. I like the Libre infuser classic mug! What an interesting design. garden dance pink 14 oz. I like the Libre Infuser – Classic 14oz Libre Infuser.